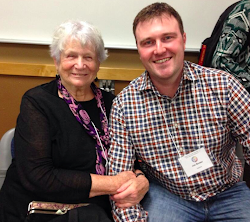 There are lots of ways to get to know someone -- my two favourite ways are going for a walk & talk and playing a game. Board games are a wonderful way of developing a relationship with someone, and also a great way of assessing a child's skills including their creativity, collaboration, adaptability, resiliency, critical thinking, problem solving, patience, literacy and numeracy. Board games often require a broad range of knowledge, skills and abilities so they are a great way of assessing what someone knows and what they can do with what they know. Because I have returned to teaching in a Children's Inpatient Psychiatric Assessment Unit, I find it helpful to play a game with a child so that we can start a casual, caring relationship before I help them with their anger, depression, self-harm, addictions and other problems. These kinds of problems are easier to work on after you've worked together to build a train, conquer Tokyo, cure a disease or bury treasure. 1. 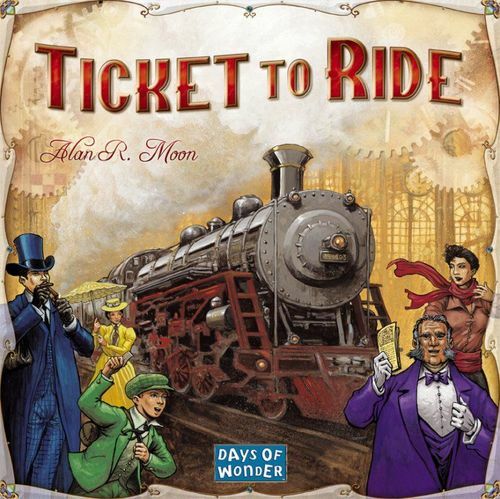 Ticket to Ride is a 5 player game where you score points by placing trains that connect cities. This is a wonderful game that is simple enough for those unfamiliar with games but challenging enough to keep everyone involved. The original game features cities in Canada and the United States, but there are many expansions and other stand-alone games that feature Europe, Nordic countries, India and Africa. This game could be played in about 60 minutes. My daughter Kayley learned to play this when she was 6. 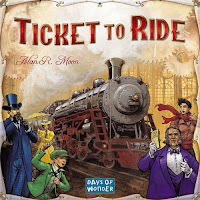 Watch a review of Ticket to Ride here. 2. 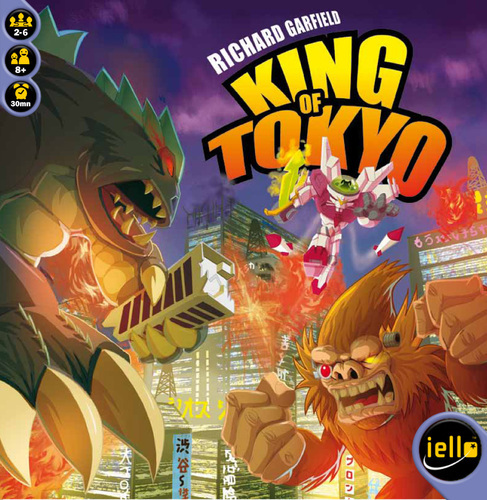 King of New Tokyo is a 6 player dice game where your monster scores points by conquering Tokyo and other monsters. This game plays like Yahtzee where you roll and re-roll the dice to achieve special monster abilities. Players must balance short-term gains with long-term objectives. King of New York is another similar stand-alone game with a few more ways for monsters to destroy buildings and score points. Both are excellent games that can be played in about 30 to 45 minutes with children as young as 6. 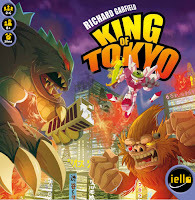 Watch a review of King of Tokyo here. 3. 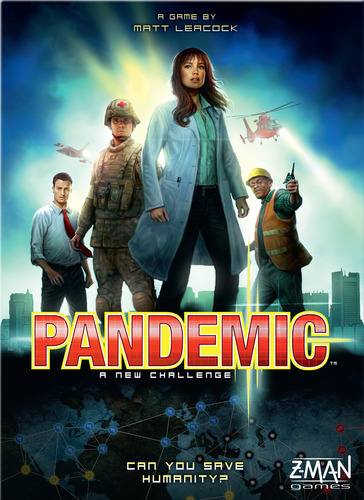 Pandemic is a cooperative game where players work together to fight 5 diseases from spreading across the world. Each player has unique special abilities that require them to collaborate in creative ways. The expansion Pandemic In the Lab makes for an even more enjoyable game as petri dishes are used to manipulate the diseases to find the cure. 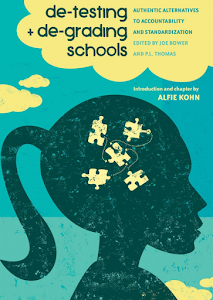 I spend a majority of my time as a teacher and a parent teaching children to collaborate with others, so I'm excited to see more and more cooperative board games being published. Pandemic is a slightly more complex game that requires more understanding for the rules than the other games on this list. Watch a review of Pandemic here and here. 4. 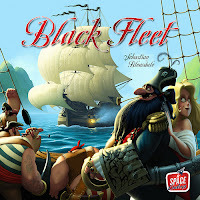 Black Fleet is a four player game where players use their merchant ship to deliver goods around the Caribbean while using their pirate ship to steal and bury treasure to earn doubloons to purchase special abilities and win the game. This is a casual child friendly pirate game that can be played in 40 to 60 minutes. 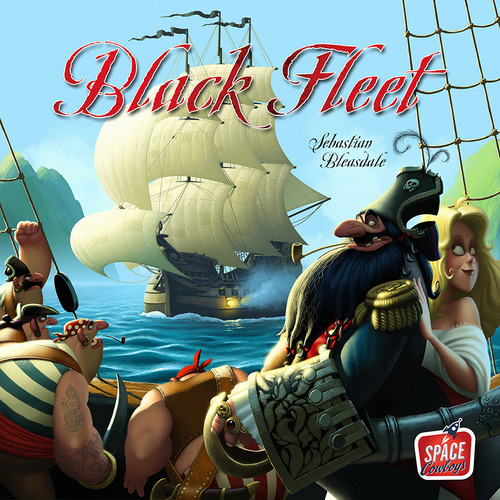 You can watch a review of Black Fleet here.